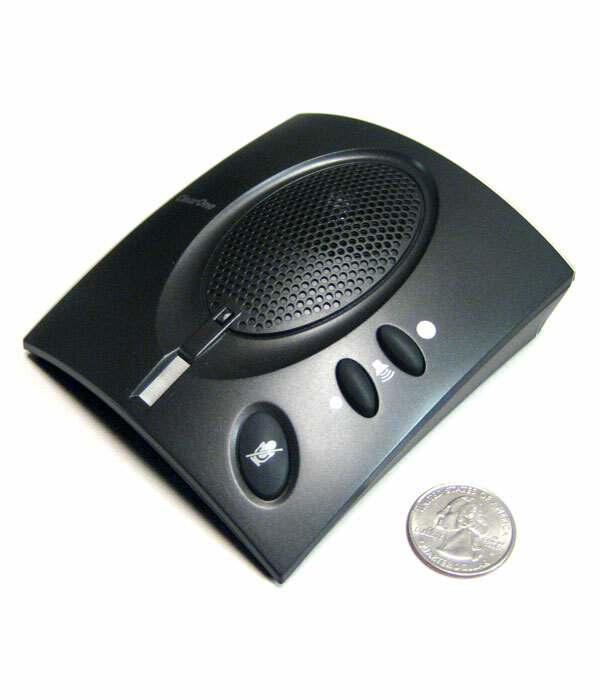 The CHAT 70 is a personal speakerphone that connects to PCs and laptops for rich, full-duplex audio communication with Microsoft Lync. With HDConference™ audio technologies, the CHAT 70 is the perfect audio peripheral for greatly enhanced collaboration through unified communication. The CHAT 70 was created by ClearOne to fill the need for a hands-free speakerphone for individuals using Microsoft's unified communications platform, Lync. The CHAT 70 is a completely full-duplex speakerphone that delivers superior hands-free audio for Lync and eliminates the need to be tethered to the PC via a headset. Providing true plug-and-play operation, the CHAT 70 requires no drivers to be installed; just plug it into a USB port and all incoming Lync calls ring on the CHAT 70. The CHAT 70 is a single-purpose device, designed specifically for use with Microsoft Lync. Microsoft and Lync are trademarks of the Microsoft group of companies.